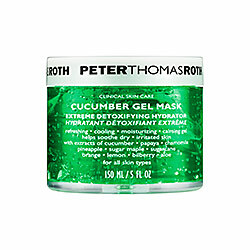 Peter Thomas Roth Cucumber Gel Mask (formerly Cucumber Gel Masque) hydrates, calms and renews the skin's appearance. 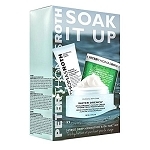 Formulated with cucumber, it soothes and brings relief after procedures such as waxing, shaving and facial peels. 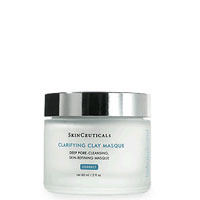 Bilberry extract nourishes and boosts elasticity for softer and younger-looking skin. Water, Propylene Glycol, Carbomer, Whole Leaf Aloe Vera, Glycerin, Sodium Polyacrylate, Allantoin, Pineapple Extract, Cucumber Extract, Papaya Extract, Bilberry Extract, Sugar Cane Extract, Sugar Maple Extract, Orange Extract, Lemon Extract, Chamomilla Recutita (Matricaria) Extract, Chamomilla Recutita (Matricaria) Oil, Disodium EDTA, Sodium PCA, Triethanolamine, Methylparaben, Propylparaben, Diazolidinyl Urea, Yellow #5, Blue #1. Net Weight 5 fl oz. These statements have not been evaluated by the FDA. These products are not intended to diagnose, treat, cure, or prevent any disease. 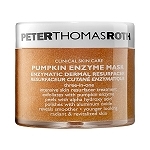 Peter Thomas Roth Pumpkin Enzyme Mask 5oz. Vivier Ultra Hydrating Mask 7.5 oz. Down to Earth "the Mask" 1.5 oz.